I’m wondering if anyone has taken a subnotebook to the field, and if so, how it went. The earlier ones didn’t look appropriate (hard drive too small, for example) but not there are machines with 1.6GHz processors, 80Gb hard drives, and with Ubuntu as the operating system that’s a pretty good setup. The last couple of days I’ve been working directly from computer notes, either elicitation or Laves story correction. I’m trying to work out if I like it, and if the disadvantages outweigh the advantages (and/or vice versa :) ). On the one hand, it’s nice to enter sentences directly onto computer without having to retranscribe. And since I don’t have a printer, if I was preparing “printed” English prompts, they’d be printed by hand, not from computer. And I have a nice laptop with a very clear screen and we blow up the text nice and big so it’s easy to read. I don’t think I like working this way, though. I’m in the habit of writing while the speaker is talking – that’s fine if it’s pencil on paper, but the keyboard is more noisy. If I prepare sentences in toolbox I can’t see what the corrections are (and track changes makes things a bit clumsy too sometimes), whereas crossing something out is easier to read. Scrolling up and down is a bit off-putting, I think. And I have an irrational fear that the notes will just ‘disappear’, whereas fieldnotes in real notebooks are a bit more tangicle. (It’s symptomatic of the irrationality of this fear that it does not apply to Bardi digital recordings, all three and a half copies of which, I must admit, are still on the same damn table. I think I preferred my Yolŋu Matha PDA setup for some reason (although it had all these disadvantages, plus the inability to display text in the proper font). It works a bit better for Laves text proofing, where the lines are in different colours and the work is more taking notes of variants and correcting Bardi sentences. Other people have been swearing by their field computers for years, though, so maybe I’m missing something. In 2001 or so I got a free pack of playing cards on a Finnair trip between Paris and Helsinki. They are quite nice, really. Each card has a pic of some morally improving Finnish scenary, or kids in knitted hats, for artistic ice-covered berries, or reindeer. You know the sort of stuff. I brought them with me in case I finished the books I brought. I thought yesterday that it would be a good way to elicit more direction terms, relative locations, and that sort of thing. We had a 4×4 (later 6×6 when that was too small) set of cards, one person had to keep a card in mind and the other had to find it. Person B would guess a card and Person A would say “no, you have to go that way” or “it’s further”. It was quite successful. Then, we shuffled all the cards and BE and JS worked out a ‘story’ using the images. I don’t know what’s on that recording yet, since I went to the shop to get some blank CDs. That’s going to be fun to listen to! The use of the term ‘dead cat’ for things that look like this, or this, on the ILAT list recently spurred me to ask for other examples of the term. Many thanks to everyone who wrote back. * Do add further terms in the comments. 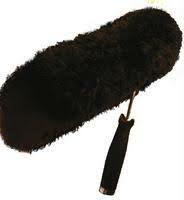 It’s interesting how many of these terms are polysemous with items that don’t really look like the a microphone cover. Audiotechnica Pro70 microphones. My setup has two microphones joined to a single plug (one for each channel). It all worked pretty well. There were a few issues, though. The external laptop battery was a hassle to get through airport security. The battery is about the size of a laptop, although much lighter and flatter. This makes it appear to be a suspicious electronic device on X-ray scans. It wasn’t something that the security people had seen before, so they just screened it a few times then searched me. It caused a particular problem once or twice because they rescreened my whole bag without closing it, so a whole bunch of stuff fell out (stuff like original fieldnotes) and ended up in the scanning machine. I didn’t lose anything and the TSA people were contrite, but all the contrition in the world doesn’t make up for a lost original field notebook. I didn’t like the fact that the mics are undetachable from each other. That is, you can’t just use one mic. I also had a big wind-interference problem on this trip. I was there later in the year than previous trips. If I was recording a single speaker I had to wrap the other microphone in something to avoid picking up wind noise. And shielding the speaker’s mic was hard, too. 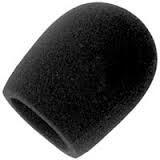 It’s just about impossible to wear a lapel mic with a sock over it! Maybe I should have brought some baby socks. I used mine for data entry with speakers for the first time this most recent field trip, so I thought I would post something about it. It allowed relatively fast data entry, and saved a lot of rewriting. It obviated my need for a printer. people thought it was fascinating. The battery life was fine and I was able to rest the machine on my equipment bag. it is possible to hear the typing on the recording sometimes. The keyboard is quite noisy. It was hard for speakers to see the screen, and for more than one of us to look at the same time. The screen is poorly backlit in bright sunlight, so I also had trouble. There is no Yolngu Matha font, which made it hard to decode what was on the screen sometimes. Space on top of the equipment bag was at a premium because it was the safest place to put equipment. Green ants bite when you try and keep them off the screen. All in all, I would use it again for work like this, especially when we were just checking items. I think I would also perhaps use a portable database with a scaled down version of the dictionary for data entry rather than a text file. That wasn’t possible because of the age of my PDA. But that would be something to think about for a future trip.